Summary: Technology is transforming the world at an unprecedented pace. But the digital sphere also creates challenges and the need for better regulation. The pace at which technology is transforming the world today is unprecedented. Digital solutions are helping economies to grow, businesses to become more efficient, and people to be more productive in everyday life. But the digital sphere also creates challenges and the need for better regulation—the scope of which is intensely debated. Discussions during this event focused on how to devise policies for the digital age that maximize the value of technology while preserving the values we hold timeless. 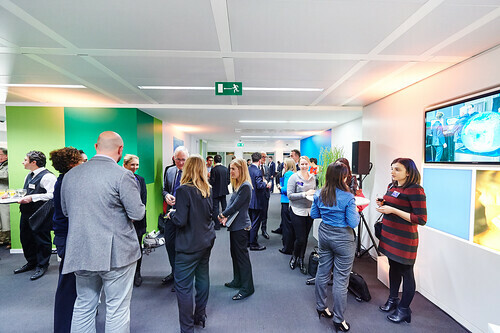 Carnegie Europe, in partnership with Microsoft and in association with the Dutch Presidency of the EU, hosted an event gathering 250 experts from the European institutions, EU member states, think tanks, NGOs, and the private sector. The event featured keynote remarks by Brad Smith, President and Chief Legal Officer of Microsoft, and Věra Jourová, European Commissioner for Justice, Consumers, and Gender Equality. Speakers included Olivier Burgersdijk, Head of Strategy of the European Cybercrime Centre at Europol, Wouter Jurgens, Head of the Cyber Security Department at the Ministry of Foreign Affairs of the Netherlands, and Vincent Richardson, Chief Information Officer of Concern Worldwide. Forthcoming reports on cybergovernance by Carnegie Europe’s Sinan Ülgen and on the economic and socioeconomic impacts of the Internet of Things by Forrester were also launched at the event.